From a delivery boy to one of the most important industrialists in American history, George Eastman's career developed in a particularly American way. The founder of Kodak died in 1932, and left his house to the University of Rochester. Since 1949 the site has operated as an international museum of photography and film, and today holds the largest collection of its kind in the world. The continually expanding photography collection contains over 400,000 images and negatives - among them the work of Alfred Stieglitz, Edward Steichen, Ansel Adams and others - as well as 23,000 cinema films, five million film stills, one of the most important silent film collections, technical equipment and a library with 40,000 books on photography and film. The George Eastman House is a pilgrimage site and a place of worship for researchers, photographers and collectors from all over the world. This volume shows in chronological order the most impressive images and the most important developments in the art of light that is photography. It provides in its huge collection and themes a unique survey of the medium from its origins until now. Since its first publication in 1937, this lucid and scholarly chronicle of the history of photography has been hailed as the classic work on the subject. 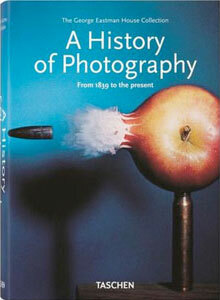 No other book and no other author have managed to relate the aesthetic evolution of the art of photography to its technical innovations with such an absorbing combination of clarity, scholarship and enthusiasm. Through more than 300 works by such master photographers as William Henry Fox Talbot, Timothy O'Sullivan, Julia Margaret Cameron, Eugene Atget, Peter Henry Emerson, Alfred Stieglitz, Paul Strand, Alvin Langdon Coburn, Man Ray, Edward Weston, Dorothea Lange, Walker Evans, Ansel Adams, Brassai, Henri Cartier-Bresson, Harry Callahan, Minor White, Robert Frank and Diane Arbus, author Beaumont Newhall presents a fascinating, comprehensive study of the significant trends and developments in the medium since the first photographs were made in 1839. 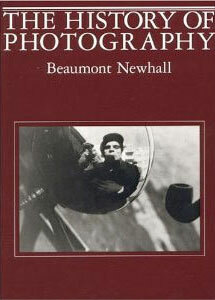 New selections added to the fifth edition include photographs made in color, from hand-tinted daguerreotypes of 1850 to turn-of-the-century autochromes by Edward Steichen, to works by contemporary masters such as Eliot Porter, Ernst Haas, William Eggleston, Stephen Shore and Joel Meyerowitz.Beaumont Newhall (1908-1993) was an influential curator, art historian, writer and photographer. In 1935 he became the Librarian at The Museum of Modern Art, New York. In 1940, he became the first Director of MoMA's Photography Department. He served as Curator of the International Museum of Photography at the George Eastman House from 1948 to 1958, then as its Director from 1958 to 1971. While at the Eastman House, Newhall was responsible for amassing one of the greatest photographic collections in the world.